Local Macedon resident and Golf Professional Matthew Duncan is now available to provide golf coaching at Mount Macedon Golf Club. 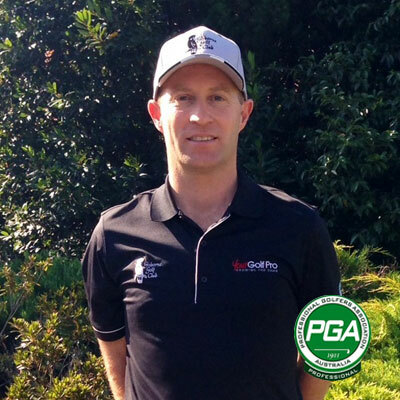 Matthew is an AAA Rated Professional with the Australian PGA, and has experience at a range of golf clubs throughout Australia. Matthew is able to bring a wide range of coaching aids to Mount Macedon Golf Club to help you to improve your golf and learn how to get the most out of your swing. This includes using a high speed video camera and computer with the latest golf coaching software technology. Having access to that technology right here at Mount Macedon Golf Club will ensure that members and all local golfers have the best possible golf coaching services, comparable to that in the major clubs in Melbourne. Matthew is also working with the Golf Club to launch a new junior program, designed to encourage juniors to play golf and have fun. There will be monthly junior “Introduction to Golf” programs conducted, to encourage new juniors to have a go at golf. Junior members of the golf club will have access to a range of junior golf activities and free coaching sessions, to further help them to enjoy their golf. Matthew is available for coaching on most days of the week, and is eager to help as many Mount Macedon golfers as possible to improve their game and increase their enjoyment of golf. Prices and packages available on application. Matthew is also able to offer a full club repair service, including all shaft repairs, and re-gripping if your grips are becoming worn out.